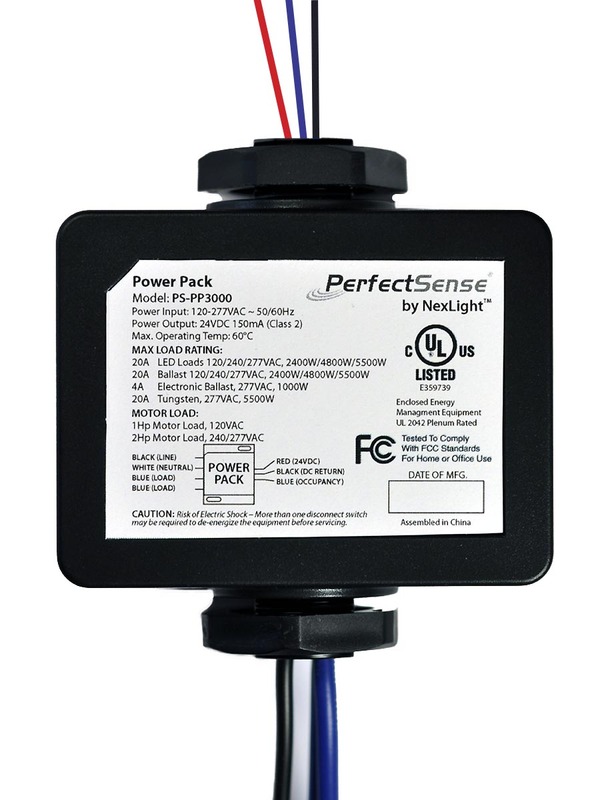 Power Packs are the main switching modules for the PerfectSense low voltage sensor system. The power packs transforms 120 or 277 VAC to Class II 24 VDC (150mA) to power the low voltage sensors. 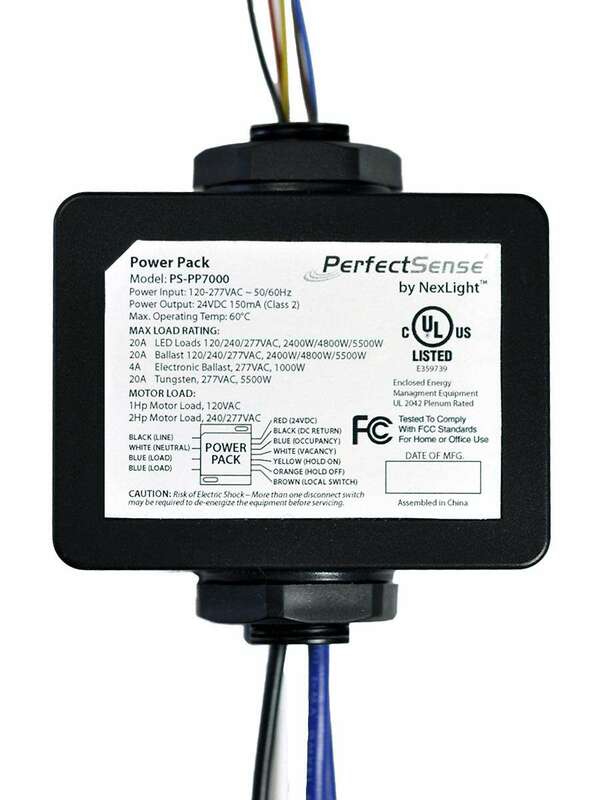 It is plenum rated for mounting directly to a junction box via knockout. Multi-circuit control can be handled by multiple power packs.